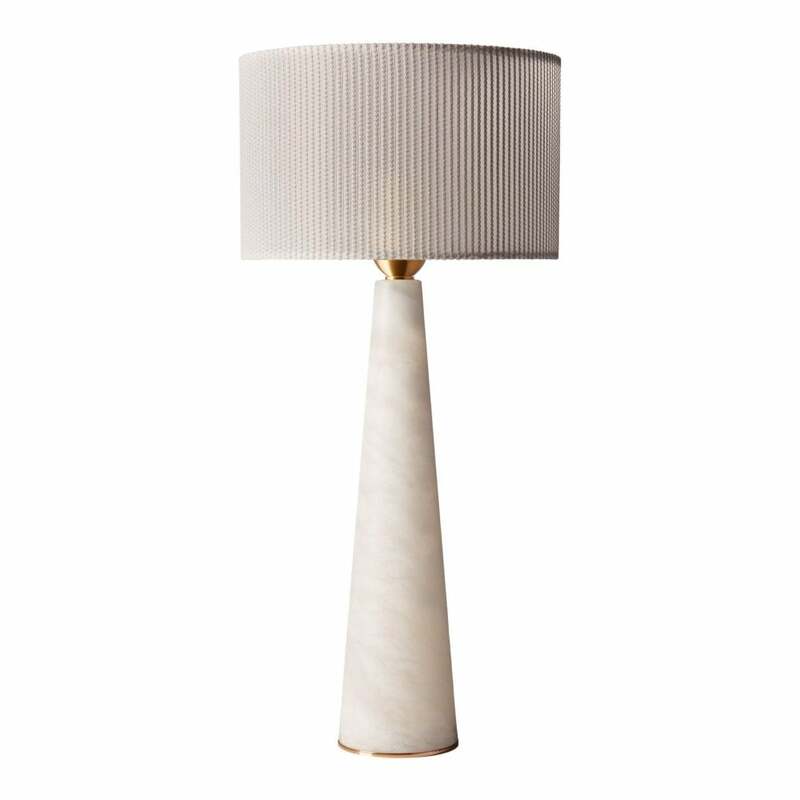 Part of the Alabaster Collection, the Ives Table Lamp by Heathfield & Co features an elegant conical base and on-trend brass metalwork. The cascading ivory tones are reminiscent of Grecian architecture adding a classic touch to a hallway or bedroom. Skilfully crafted, the shade is available in a wide variety of luxurious materials and colours. Make an enquiry to receive advice, tips and samples from our dedicated team of experts.